The state's oil regulator has the dual burden of facilitating oil development while protecting the environment and public health. Can it do both? In partnership with the Center for Public Integrity. 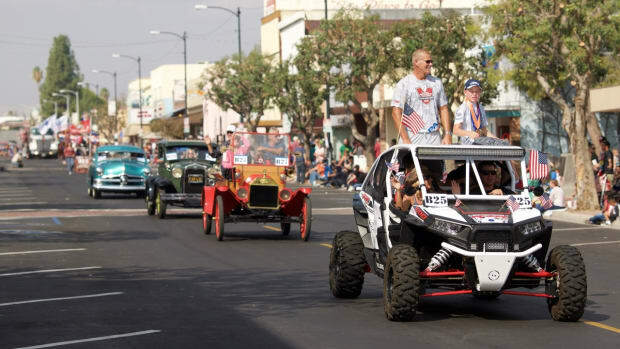 Almost everything in Orcutt, California, feels like a testament to its origins as a 20th century oil boomtown—not least its name. William Warren Orcutt, a pioneer of petroleum geology and the man who helped Union Oil strike it big in the Golden State, founded the town in 1904. The industry has changed drastically since Orcutt&apos;s day, when oil crews operating there famously discovered one of the area&apos;s—and indeed the world&apos;s—most productive wells by pure happenstance. After heavy equipment fell off the back of a wagon, the workers, not wanting to go through the trouble of lugging everything back on the vehicle, decided to set up shop on that fortuitous patch of land. The well, affectionately known as Old Maud, continued to produce oil all the way until 1988. By then, the oil industry had embraced a slew of more modern, "enhanced oil recovery" techniques—namely cyclic steaming, in which steam is pumped through wells at high pressures to heat and liquefy thick oil; and acid matrix stimulation, in which acid is injected into underground formations to dissolve sediment and mud. The industry, so far as modernization goes, outpaced its regulators: Since its creation in 1915, the state&apos;s Division of Oil, Gas, and Geothermal Resources has operated almost entirely with paper records. DOGGR&apos;s Coastal District office sits in the heart of downtown Orcutt, in the shadow of a cell tower disguised as an oil derrick. Inside, a modest conference room is lined with black-and-white photos of early oil operations. A lone table is covered with a mess of thick binders; more fill shelves in the hallway. The binders are stuffed with paper records of every reported oil spill in the district, which stretches from Santa Cruz County down through Santa Barbara County. Only in 2015 did DOGGR finally begin the process of digitizing a century of records. To commend the agency for finally embracing the call of modernity is to perhaps give it too much credit. Really, it was trying to save face—through what is internally called a "renewal plan"—following a string of embarrassing episodes. DOGGR vowed to make swift and sweeping reforms to its underground injection program in 2011, after scalding steam, oil, and poisonous gases began erupting in an oil field in Kern County, resulting in the death of a worker named Robert David Taylor. In June of that year, Taylor was walking across the Midway-Sunset oil field, some 40 miles west of Bakersfield, to investigate the venting steam near an idle well when the ground opened beneath his feet. Taylor plunged into a sinkhole filled with boiling water and toxic hydrogen sulfide. It took 17 hours to recover his body. Chevron, the oil field operator, was fined $350 by state workplace regulators after the accident. That same month, a United States Environmental Protection Agency audit of DOGGR&apos;s regulatory program for underground injection—a term that encompasses any technique involving the injection of fluid into the ground to extract oil, such as cyclic steaming, or to dispose of wastewater—found that the division had essentially been rubber-stamping companies&apos; permits; the EPA&apos;s critique called out DOGGR for inadequate geological reviews, underqualified inspection staff, and a general failure to protect some underground sources of drinking water. Then, in 2015, DOGGR admitted it had allowed thousands of wells to inject wastewater into underground aquifers that should have been protected as possible sources of freshwater. Today, most of the easily accessible oil reserves in California are gone. To get at the tar-like crude that remains, operators have become increasingly reliant on unconventional extraction methods. Roughly 75 percent of the oil pulled from the ground every day in the state is produced with techniques such as cyclic steaming. And yet, seven years after Taylor&apos;s death, DOGGR has yet to make any significant changes to its regulations governing underground injection. "For decades California&apos;s primary oil and gas regulator—DOGGR—has been asleep at the wheel as the oil industry has run rampant with expansion and dangerous extraction techniques all over the state," says Hollin Kretzmann, a senior attorney at the Center for Biological Diversity, an environmental advocacy group. "When it finally came to light in recent years that nobody is effectively regulating this industry, rather than take any sort of meaningful action DOGGR has dragged its feet." Now, conflicts over injection are boiling over in communities across California—not just in the oil industry&apos;s stronghold of Kern County. People in Santa Barbara, Ventura, and San Luis Obispo counties, fed up with state regulators, are turning to ballot initiatives and lawsuits to block injection and protect their groundwater. And Governor Jerry Brown, who&apos;s counting on an international climate summit in San Francisco this week to cement the state&apos;s environmental legacy, faces mounting pressure to wean California off fossil fuels for good before his final term comes to an end. The ostentatious signage for the Global Climate Action Summit stands in stark contrast to the minimalist interior of the Moscone Center, a monolith in downtown San Francisco. Thousands of environmental leaders, heads of state, journalists, and celebrity activists have congregated here this week, many of them full of caffeine and cautious optimism, to discuss a swath of climate-related issues: food systems, climate finance, environmental justice, a fossil fuel-less future. Brown says he hopes the summit will build momentum toward a clean-energy economy. California&apos;s well-earned reputation for fierce environmental regulation makes the state an ideal site for the conference. Its representatives helped to craft some of the nation&apos;s first environmental laws, giving the public a say in industrial development. The state&apos;s clout as an environmental and climate leader has only increased under Brown, whose administration continues to act as a foil to a White House intent on dismantling regulations. Brown has set aggressive emission-reduction targets for California, reaffirming its commitment to the Paris climate agreement, which aims to keep global warming below two degrees Celsius, even as President Donald Trump vowed to abandon the international accord. This week, Brown signed into law a bill requiring that the state get 100 percent of its electricity from renewable resources by 2045—one of the most ambitious targets in the U.S. and the world. He also has signed legislation promoting zero-emission vehicles and solar energy, and extending the state&apos;s signature cap-and-trade program for polluters. All this progress comes with concessions: In 2017, Brown won industry&apos;s blessing of the cap-and-trade legislation with tax breaks, and many environmental groups saw the final bill as too lenient on oil companies. With Brown&apos;s fourth and final term winding down, the climate summit is his swan song, a chance to highlight all he has accomplished, all that&apos;s left to be done, and, as Brown described it in a video announcing the event, to "roll back the forces of carbonization." On Wednesday, coinciding with the start of Brown&apos;s summit, DOGGR will begin hearings in Los Angeles and Bakersfield on newly proposed rules for injection wells—the first update to the rules in decades. The irony of the timing has not been lost on environmental advocacy groups. "These regulations aren&apos;t meant to limit or curtail oil development. They&apos;re meant to create a clearer path to more oil production," says Kretzmann, of the Center for Biological Diversity. "At a time when California is trying to be a leader on climate change, why are we coming up with new regulations to facilitate the expansion of the oil and gas industry?" Earlier this year, more than 800 environmental groups urged Brown in an open letter to "champion a vision for California that looks beyond the oil and gas industry" and issue no new permits for oil and gas extraction, fossil fuel infrastructure or petrochemical plants in the state. Climate scientists and local elected officials sent their own letters of endorsement. The former says, "An end to new fossil fuel production in California is urgently needed to meet the Paris Agreement goals." The latter says an estimated 5.4 million Californians live within a mile of at least one oil and gas well and claims, "The disastrous impacts of fossil fuel use, including air pollution, droughts, fires, mudslides, storms and sea level rise, already cost Californians more than 12,000 lives and one hundred billion dollars annually. Yet the oil and gas industry contributes less than 0.3 percent of California&apos;s [gross domestic product] and a small number of jobs." "Shutting down responsible oil production in California will not help the state achieve its climate goals," Rock Zierman, the chief executive officer for the California Independent Petroleum Association, one of the state&apos;s main oil lobby groups, wrote in an emailed statement to Pacific Standard and the Center for Public Integrity. "Instead, it will only further increase the state&apos;s dependence on imported oil from countries that do not follow California&apos;s strict environmental protections and is transported here by tanker ship or rail car, both of which present their own set of environmental impacts." "Clearly, the world needs to curb its use of oil and the phase out is already underway in California where the state is committed to cutting consumption in half," Brown&apos;s press secretary, Evan Westrup, wrote in statement, noting that oil production has dropped by 56 percent since its peak in 1985. "There&apos;s a reason the White House and fossil fuel companies fight California on almost a daily basis—no jurisdiction in the Western Hemisphere is doing more on climate." Most of California&apos;s regulatory efforts targeting fossil fuels are aimed at reducing consumption—getting more electric cars on roads and more solar panels on roofs, for example. This week, Brown signed legislation banning new oil infrastructure in state waters—effectively thwarting Trump&apos;s attempt to reopen federal waters to offshore drilling. But the state has done little to discourage onshore production, an oversight that could effectively negate its otherwise sterling environmental work. In 2017, California was the nation&apos;s No. 4 oil-producing state, behind Texas, North Dakota, and Alaska, according to the U.S. Energy Information Administration. Under Brown, DOGGR has issued some 21,000 well permits—more than three-quarters of which were in low-income communities or communities of color, according to a recent analysis by the Center for Biological Diversity. (Westrup notes that just 1,495 of those permits were issued within the last two years.) Historically, California&apos;s oil regulations have not been as stringent as its international image would imply. California, for example, is one of only a handful of states that don&apos;t require buffer zones between active oil and gas wells and civilian structures like homes, schools, or hospitals; a full 14 percent of the population lives within a mile of a well. And it&apos;s one of only two states without a production or severance tax on the oil and gas industry—a "de facto subsidy," according to a 2018 report from Oil Change International and other advocacy groups. On the west side of Kern County, oil operations intersect with high-quality agricultural land. Only recently did DOGGR begin tracking and regulating the use of hydraulic fracturing, or fracking, in the state—a technique that is not governed by the same rules as underground injection wells, even though it involves blasting water and chemicals down wells at high pressures to crack rock formations and release oil trapped below ground. Bill Allayaud, the California director of government affairs at the Environmental Working Group, another advocacy organization, says DOGGR was "in denial" about the extent of fracking in California as late as 2012. In May of that year, DOGGR&apos;s website still claimed that the division had only "anecdotal information about the use of the practice," and that it did not "believe that fracking is widely used in California." After reviewing industry records, Allayaud&apos;s group reported in 2012 that operators had been fracking as far back as 1953 and the technique was common by the 1990s. The resulting outcry led California lawmakers to pass one of the strictest fracking laws in the country, Senate Bill 4, which forced operators to disclose chemicals used in production—information previously kept from the public under the guise of "trade secrets." 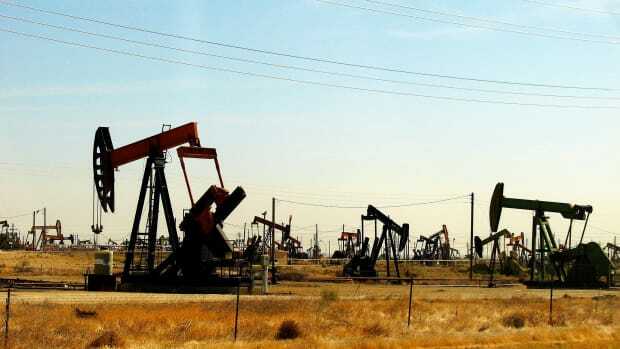 What the bill didn&apos;t provide was any form of updated governance over underground injection wells, which, as of the end of March, numbered 55,491 in California and accounted for most of the state&apos;s oil and gas production. It&apos;s not that injection wells used to produce oil are any more or any less of a threat to public safety or the environment than fracking. Indeed, there is significant overlap between the chemicals used in fracking and those used in injection operations like cyclic steaming—some of which are extremely toxic. "They&apos;re basically using the same chemicals," says Seth Shonkoff, the executive director of PSE Healthy Energy, an energy science and policy institute in Oakland, California, and visiting scholar at the University of California–Berkeley. Dozens of chemicals used in both well stimulation and more routine operations, such as well drilling or maintenance, have been deemed harmful to human health by the EPA and other government agencies. Underground injection "wasn&apos;t avoided on purpose" says Fran Pavley, a retired state senator who authored Senate Bill 4 in 2013. "It was just not on our radar screen back then." Rules governing injection already were on the books, but DOGGR, as Pavley later learned, hadn&apos;t been enforcing them. Jason Marshall, the chief deputy director of the Sacramento-based Department of Conservation, which oversees DOGGR, draws a distinction between the "old DOGGR" and the organization today. The agency, he says, has undergone a cultural shift, rededicating itself to enforcement and transparency. There&apos;s also been a significant uptick in funding: Since 2011, DOGGR&apos;s budget has swelled by more than $53 million, and the agency has added 129 positions. In April, DOGGR issued a $12.5 million fine, the largest on record, to Greka Oil & Gas for nearly 1,500 violations, which included failure to conduct pressure tests and tracer surveys—which provide information on well integrity—and falsifying reports, among other things. (Greka filed an appeal of the fine, which is expected to be heard this fall.) In July, DOGGR opened an enforcement office, separate from the agency&apos;s permitting arm, to address violations—"plain evidence," Marshall says, of the agency&apos;s commitment to go after "operators who just simply won&apos;t follow the rules." A few weeks ago, two years behind schedule, DOGGR finally released its proposed underground injection rules for public comment. DOGGR hopes to have the rules finalized by April, but that depends on how much they change based on the submitted comments. Pushback from both environmentalists and industry officials seems inevitable. Two oil industry lobby groups—the Western States Petroleum Association, or WSPA, and the California Independent Petroleum Association, or CIPA—submitted comments on drafts of DOGGR regulations as they stood in June of last year. Both groups wield enormous influence in Sacramento. WSPA consistently ranks among California&apos;s top spenders on lobbying; state records show it had spent more than $11.6 million (through June) during the 2017–18 legislative session. CIPA has less firepower (records show it had spent nearly $1.1 million through June of the current session) but is not without allies in the Capitol. Both groups were critical—one might even say indignant. WSPA urged DOGGR to reconsider an "overly stringent" rule that would prohibit the migration of injection fluids beyond where operators were permitted to inject, regardless of whether potential drinking water sources were threatened. This zero-tolerance policy, WSPA complained, would put "undue economic pressure on operators." WSPA also suggested that DOGGR set hard deadlines for the processing of permit applications. "Operators are currently experiencing lengthy delays in issuance of [underground injection] project approvals, with some projects pending for years," WSPA wrote. Failure by DOGGR to move on a completed application within a certain period, it said, "should result in approval of the project." While such a proposition might seem cheeky—act within our timeframe or else—it&apos;s worth noting that DOGGR is required to consider the economic ramifications of its rules. "We have an obligation to make sure that we&apos;re, in our regulations, protecting public health and safety and the environment," Marshall says. "But we also have an obligation to make sure we don&apos;t cause billions of dollars of economic damage." One compromise DOGGR made with the industry, for example, allows operators to conduct pressure tests on idle wells—analyses that provide data on the structural integrity of wells that aren&apos;t in use—less often, provided the companies apply a higher pressure when they do the tests. Nonetheless, Marshall says, DOGGR has no plans to allow automatic approval of permits. He blamed delays on operators&apos; incomplete permit applications. WSPA did not respond to requests for comment. CIPA also expressed "grave concerns" with the draft regulations in its written comments to DOGGR and called underground injection "the most environmentally sensitive way to manage oil field fluid flows." CIPA objected to, among other things, "unnecessary" mechanical integrity tests proposed for cyclic steam operations and "superfluous" data requirements. The group maintained that "there has been no contamination of California water supplies by the oil and gas industry despite [its] reinjecting over 3 billion barrels of [wastewater] for the past three decades." That claim has been debunked "several times over," according to Kretzmann, of the Center for Biological Diversity. Indeed, a 2015 report on well stimulation in the state by the California Council on Science and Technology, an independent organization that provides advice to state lawmakers, found "ample evidence of groundwater contamination" by industry wastewater. That same year, the Associated Press reported that DOGGR had wrongly permitted some 2,500 injection wells for wastewater disposal in protected aquifers. The oil industry generates significantly more wastewater than oil: For every barrel of crude that&apos;s pumped to the surface, operators bring up an average of 17 barrels of "produced water"—liquid often laced with dissolved salts, oil, toxic chemicals like benzene, and other naturally occurring contaminants. 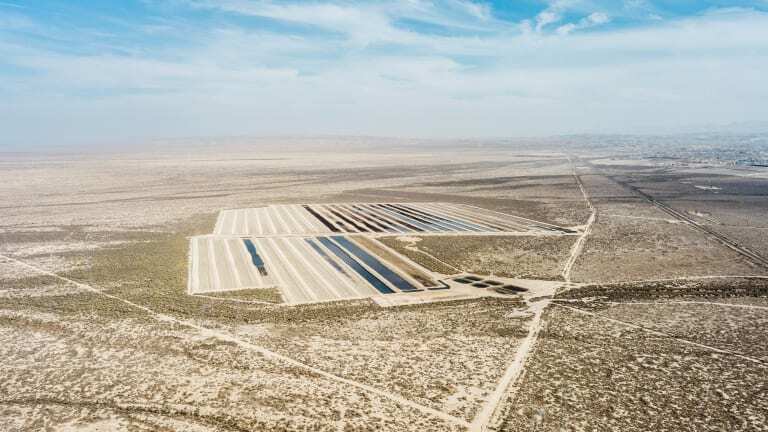 "Oil is always mixed with water in a reservoir," says Jan Gillespie, a professor at California State University–Bakersfield. As crude is pulled from a subterranean reservoir, water fills the void. Many oil fields in the state today contain nine times as much water as oil. "That&apos;s got to go somewhere," Gillespie says. More than 80 percent of it is pumped back underground via special wells. Operators separate as much oil from the produced water as possible before returning it underground, but it still may contain chemicals used in well-stimulation techniques like fracking or in routine oil operations. DOGGR works with the State Water Resources Control Board and the EPA to determine which aquifers are protected from injection by the federal Safe Drinking Water Act and which are exempt. The EPA has final say. An exemption is granted if an aquifer doesn&apos;t serve as a source of drinking water and isn&apos;t likely to in the future (due to high levels of dissolved salts and other contaminants). "What we put together for the EPA&apos;s consideration is the geologic and legal case for why the water in [a particular] zone underground is not suitable for human consumption," the Department of Conservation&apos;s Marshall says. "It&apos;s the actual evidence that says, &apos;This isn&apos;t what you want to drink.&apos;"
DOGGR, apparently stymied by record-keeping problems and miscommunication, has been allowing the industry to inject produced water into protected aquifers—in some cases for decades. Nearly half of those permits were issued after Brown took office and after the EPA&apos;s audit in 2011 called attention to serious problems with California&apos;s underground injection program. "Let me be clear so that it&apos;s not a misunderstanding," Jonathan Bishop, deputy director of the State Water Resources Control Board, the agency that regulates water quality, told the California Legislature in 2015. "We believe that any injection into the aquifers that are not exempt has contaminated those aquifers." DOGGR gave itself two years to stop injection into non-exempt aquifers, either by shutting down wells or retroactively exempting aquifers from federal protection. The agency shut down dozens of wells in 2015 after an initial review of the riskiest injection sites—aquifers with low levels of dissolved salts and no oil or gas. But operators continued injecting into aquifers that officials believed stood a chance of receiving exemptions. Since 2015, DOGGR has found 30 aquifer-exemption proposals to have merit. As of August, it had submitted 15 to the EPA for review. Ten have been approved, and five are still under consideration. Meanwhile, operators are still injecting into aquifers awaiting exemptions. When DOGGR&apos;s self-imposed deadline arrived in 2017, a WSPA lawsuit blocked the agency from stopping such injections. While injection into non-exempt aquifers doesn&apos;t appear to have affected any active drinking-water wells, the full consequences of the previous decades of lax oversight are only now becoming clear as California&apos;s water supply shrinks. More than 90 percent of its population continues to deal with abnormally dry or drought conditions and the state is becoming ever more reliant on its groundwater stores. Allowing industry to dump wastewater into aquifers deemed too briny for human consumption today could be a short-sighted gamble. Exempting an aquifer effectively writes it off as a future source of drinking water. "Technically, any water can be cleaned up," says Andrew Grinberg, national campaigns special projects manager with Clean Water Action, an environmental group. The technology exists, but it&apos;s costly and time-consuming. "Remediating a contaminated aquifer is usually going to require pumping out the contaminated water and then through another site re-injecting clean water," Grinberg says. "That&apos;s a long, expensive, ongoing process that can take years or decades or might never actually be successful." Our understanding of the distribution and abundance of freshwater in the state is also changing. In a paper published in 2016, two Stanford University researchers reported that California may have more potentially usable water beneath its soil than once believed. The researchers calculated that the Central Valley alone "has close to three times the volume of fresh groundwater and four times the volume of [water that could be consumed with treatment] than previous estimates suggest," at depths of up to 10,000 feet. Because California has among the shallowest distributions of oil and gas extraction in the nation, conflicts could arise. Pump jacks in Kern County. 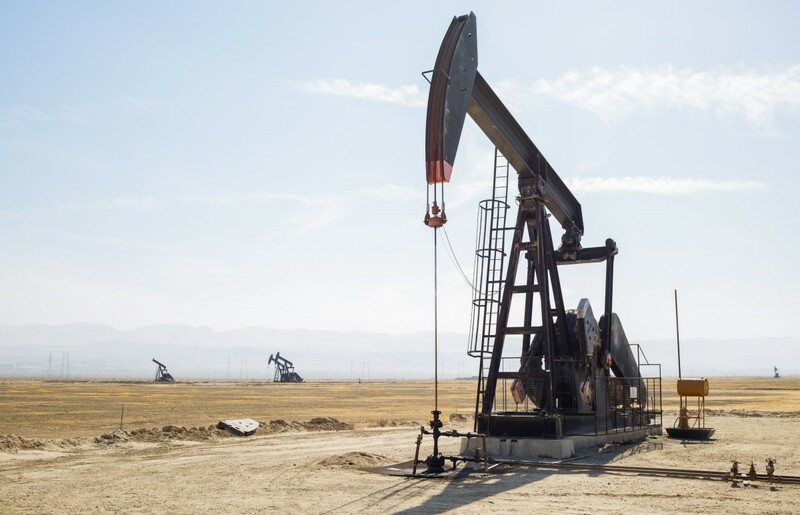 "If oil and gas wells are shallow and groundwater wells are increasingly deep, at some point they intersect," says one of the paper&apos;s authors, Robert Jackson, a professor and department chair in Stanford&apos;s School of Earth, Energy & Environmental Sciences. 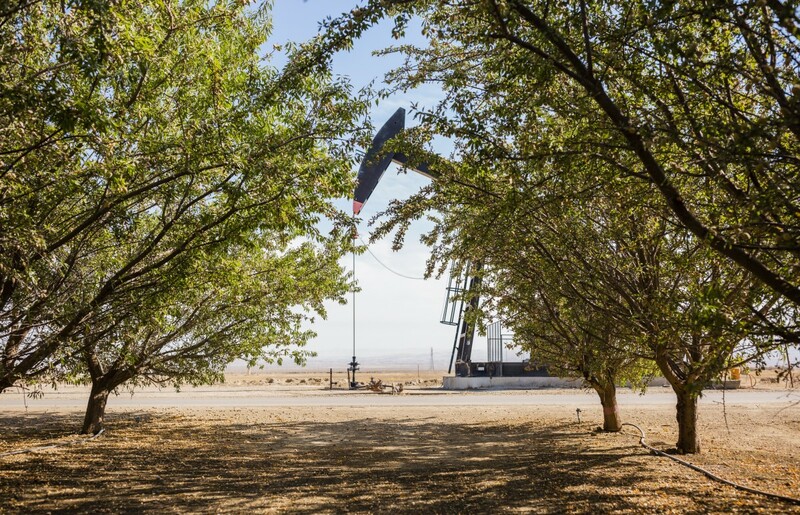 Even in Kern County, California&apos;s oil capital, high-quality groundwater can be found relatively deep, according to Jackson, who sits on an independent panel that advises the state Department of Conservation on underground injection. 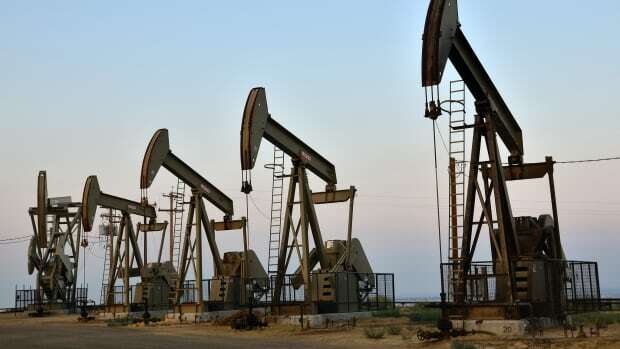 East of Bakersfield, Jackson says, "we found oil and gas activity in freshwater aquifers. In no way were we saying that activity was illegal; some of these wells were drilled in the 1950s and &apos;60s." But the study raised a question in his mind: "Do we want to continue the same policies we had then when demands on our water are so much greater today?" California, which has always oscillated between wet and dry periods, has become increasingly warmer and drier. Declining precipitation and rising temperatures have conspired to drastically reduce the Sierra Nevada snowpack, which provides up to a third of California&apos;s water supply. As a result, the state has had to tap into its aquifers to quench the thirst of its booming population and agricultural industry. In some parts of the San Joaquin Valley, so much water has been drawn from the ground that the land has sunk by as much as 28 feet. Roughly 85 percent of California&apos;s public water systems rely, at least in part, on groundwater, according to the State Water Resources Control Board. While DOGGR&apos;s regulatory performance has improved in former Senator Pavley&apos;s view, she&apos;s keenly aware of the threats practices like cyclic steaming pose in Santa Barbara, Ventura, and San Luis Obispo counties. "Any kind of pollution of their groundwater basins is a huge problem, affecting health and safety and the agricultural and tourist economies they rely on," she says. "That area, I think, is particularly vulnerable. It&apos;s not Kern County." The first of May was cloudless and cool in San Luis Obispo as Charles Varni led a line of locals opposed to the expansion of the Price Canyon oil field across Monterey Street. Varni, a retired professor, held one end of a sign that read "BAN FRACKING AND NEW OIL WELLS." Natalie Risner, a business owner, held the other. Behind them, volunteers with the Coalition to Protect San Luis Obispo County, a grassroots group opposed to oil development in the region, carried boxes of documents bearing the signatures of registered voters in the county. The coalition, co-founded by Varni and Risner, was behind a local ballot initiative, Measure G, which would ban all new oil wells and infrastructure in the county, conventional or otherwise. The group needed 8,500 signatures to get the measure on the November ballot. It collected 20,473. "We&apos;re not stopping production, we&apos;re only stopping expanded production," Risner said from Woodstock&apos;s, a pizza place where the volunteers gathered to celebrate after dropping the signatures off at the county clerk&apos;s office. For Risner, the issue is personal: She grew up on a 23-acre ranch that abuts the Price Canyon oil field, and still lives there with her two young daughters. Risner is no starry-eyed romantic; she anticipates a bare-knuckles fight with the oil industry. "They&apos;re going to be spending millions of dollars to try to defeat us," Risner says. Recent history would indicate she&apos;s spot on. 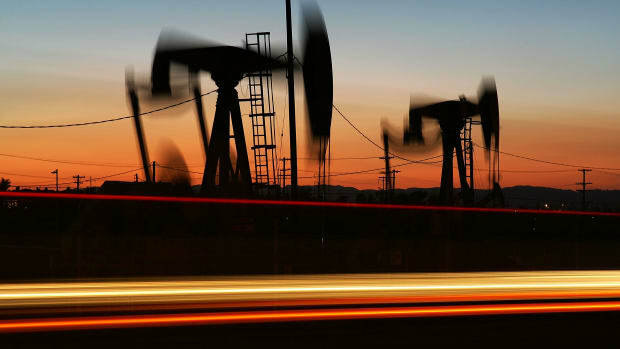 Measure P—a 2014 ballot initiative in Santa Barbara County that would have prohibited "high intensity" petroleum operations like fracking and cyclic steaming in unincorporated areas of the county—failed after energy companies funneled $7.6 million into the opposition campaign. That&apos;s more than 25 times the amount Measure P&apos;s supporters were able to raise. Monterey County&apos;s version—Measure Z—passed in 2016, but was largely gutted by the courts. Today, Sentinel Peak Resources California, LLC, a privately held company based in Denver, owns the lease on Price Canyon. Christine Halley, a spokeswoman for Sentinel Peak, says Measure G&apos;s "deceptively written" language would effectively ban even the maintenance of wells in the area, crippling operations. "Existing wells require ongoing and necessary repairs, improvements, and upgrades that go beyond even routine maintenance," Halley wrote in a statement. "Banning such activities and critical parts of production means that existing oil and gas production will ultimately be shut down—as the Initiative itself concedes—resulting in the loss of more than 200 skilled, good paying jobs directly related to oil and gas production." Sentinel Peak purchased the Price Canyon lease in 2016 from Freeport McMoRan, Inc.; in the process it inherited from Freeport an application to expand oil operations in the field by hundreds of wells, including steam-injection wells. The additional wells could increase the field&apos;s production by a factor of 10. But, due to a dip in oil prices in recent years, the expansion has been placed on hold indefinitely. In the meantime, first Freeport and then Sentinel Peak sought approval from DOGGR and the California Environmental Protection Agency to expand the area in which they could inject wastewater into the Dollie Sands formation, the aquifer that lies beneath the field. Freeport first filed an application for an expanded aquifer exemption beneath the Price Canyon field in 2015. DOGGR sought approval from the EPA—which must sign off on every aquifer exemption as part of a memorandum of agreement between the two agencies—in 2016, but federal officials asked DOGGR to gather more data. The proposal is before the EPA again. "[T]he science demonstrates that water wells will be not impacted [by the exemption expansion]," Halley, the Sentinel Peak spokeswoman, wrote, "and four state agencies have already confirmed this to be the case." But San Luis Obispo residents like Varni and Risner have lost faith in state regulators. 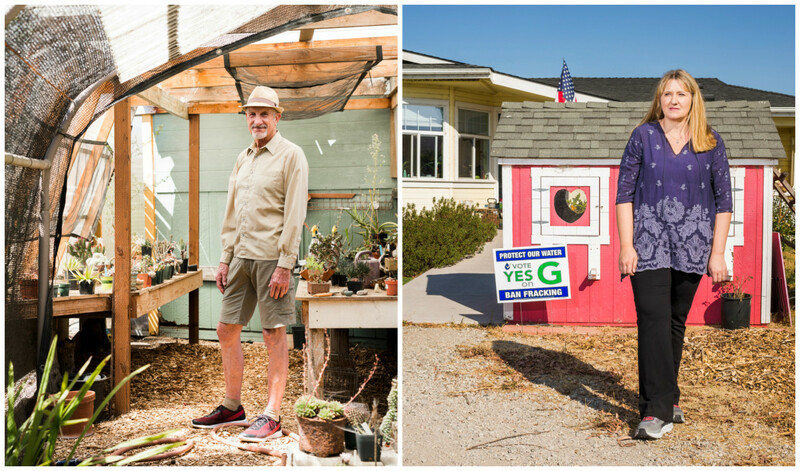 Left: Charles Varni, a retired professor and the co-founder of a grassroots group behind a ballot measure to ban new oil development in San Luis Obispo County, at his home in Oceano, California. | Right: Natalie Risner, the group&apos;s co-founder, at her home next to the Price Canyon oil field. Opponents of aquifer exemptions see their approval as a foregone conclusion—either because they believe DOGGR is still serving industry interests rather than the public, or because the criteria the agency uses to define exempt aquifer are too narrow. Measure G was born out of San Luis Obispo County&apos;s distrust of DOGGR, a wariness only amplified by the agency&apos;s decision on Price Canyon in 2016. "That&apos;s what got us here—the fact that they have neglected to protect our groundwater for the past 30 years," Risner says. "So now we don&apos;t trust them to do what they should." Such anxiety is palpable for Californians like Ann Ohlenkamp, a retiree and environmental advocate who lives just a few miles away from Ventura County&apos;s Sespe Aquifer, which is under consideration by DOGGR for an exemption expansion. DOGGR&apos;s analysis shows the exemption application, filed by Houston-based Seneca Resources, LLC., meets the legal requirements: The aquifer is not now used for drinking water, nor is it expected to, due to high levels of salts and minerals from naturally occurring oil. Moreover, it&apos;s isolated from the closest clean aquifer—the only source of drinking water for the nearby city of Fillmore, where Ohlenkamp lives. At a hearing in Ventura in October of 2017, DOGGR officials explained that the part of the Sespe Aquifer proposed for an exemption is sealed off from Fillmore&apos;s drinking water by several layers of impermeable rock and earth. Ohlenkamp wasn&apos;t reassured. "Injection and fracking make the impermeable barriers permeable," she says. "It&apos;s like this giant house of cards that they&apos;re coming at with a bulldozer. So, it&apos;s not if it hurts Fillmore&apos;s water, it&apos;s when it hurts Fillmore&apos;s water." But state regulators say that no operators have requested permits to use fracking in Ventura County, and that, in order to frack, operators must first model how underground formations will fracture, making such a scenario highly unlikely. The Safe Water Drinking Act requires regulators to verify that any produced water injected into exempted aquifers won&apos;t migrate into any potential drinking water sources. But Clean Water Action&apos;s Grinberg says that, historically, regulators don&apos;t always follow up. "[DOGGR is] assuming operators are going to do their part to prevent contamination," he says, "but there&apos;s not adequate monitoring to make sure that that&apos;s actually happening." "We&apos;ve watched the process of DOGGR trying to check the boxes to remove the protection from the Sespe aquifer, systematically working through the list of these aquifers to clear them," says Rebecca August, a public-lands advocate with the Los Padres ForestWatch, an environmental organization based in Santa Barbara. "Hundreds of people make comments in opposition to [these exemptions], and it&apos;s just falling on deaf ears." While August&apos;s work involves protecting public lands all along California&apos;s Central Coast, she lives in Santa Barbara County on 20-acre ranch about 15 miles down the road from the Cat Canyon oil field, where three oil operators are seeking permits from the county&apos;s planning commission to expand production. Together, ERG Resources, Aera Energy, and PetroRock are looking to add some 760 wells—an expansion that could triple the amount of onshore production for the entire county. The Cat Canyon field, just outside the town of Santa Maria, has been in operation since the early 1900s. The eastern corner of the field, where Aera energy wants to expand operations, has not had producing wells since the 1990s. Aera&apos;s project plan calls for 141 conventional oil-producing wells and 107 steam injection wells. ERG&apos;s calls for 233 cyclic-steaming wells. "They&apos;re going back to some of these old, played-out fields, and using these new enhanced techniques," says Katie Davis, chair of the Sierra Club&apos;s Santa Barbara chapter. "That&apos;s a huge risk." Not only does cyclic steaming have a high well-failure rate, Davis notes, it&apos;s also the most energy intensive. Only one onshore project in Santa Barbara County has ever been defeated: A 2016 proposal from Pacific Coast Energy Company LP to add 96 cyclic-steaming wells to its Orcutt Hill operation. The county planning commission denied the expansion due to the company&apos;s poor track record—more than 100 oil seeps, or "surface expressions" in DOGGR parlance, in the Orcutt Hill area, largely due to cyclic steaming. DOGGR&apos;s coastal district office set new conditions for PCEC operations on the field—chiefly, setting stricter limits for injection pressures and installing better pressure-monitoring equipment—which brought down the number of oil seeps, but environmentalists are not convinced the company has cleaned up its act. The Santa Barbara-based Environmental Defense Center filed a lawsuit against PCEC in July, alleging the company has been illegally discharging polluted storm water into creeks that drain into the Santa Maria River and, eventually, the Pacific. PCEC did not respond to requests for comment, and has yet to file a response in court. Given the track records of the three companies seeking permits in Santa Barbara County, any accident or spill could leave the county footing the bill for the clean-up, Davis says. "These companies are not the big players and there&apos;s a real concern about how they&apos;ll manage these sites and the risks that they&apos;ll take," she says. "If something goes wrong, if there is a major spill, they&apos;re just going to go away, and we would be on the hook." None of the companies responded to requests for comment. Despite budget increases and new hires, DOGGR&apos;s district offices are still overworked and understaffed. Operators are required to report any oil spills of more than one barrel, and any "significant" spills of produced water—leaving operators to define "significant" for themselves. DOGGR has been in a reactive state for years, responding to one embarrassment after another—Taylor&apos;s death, the EPA audit, the AP report. Digitizing spill records and chasing down one- or two-barrel spills have not been priorities. "It&apos;s been a challenge, but we&apos;re getting close to the end of it. Some of our rule-making processes are getting to the end of it, a lot of these aquifer issues are also getting to the end of it," says the Department of Conservation&apos;s Marshall. "We&apos;re moving to the next phase of oil and gas regulation." Environmentalists, including the the Center for Biological Diversity&apos;s Kretzmann, are unmoved. "There&apos;s no amount of regulation that&apos;s going to adequately protect our climate and our groundwater from this inherently dangerous activity," he says. 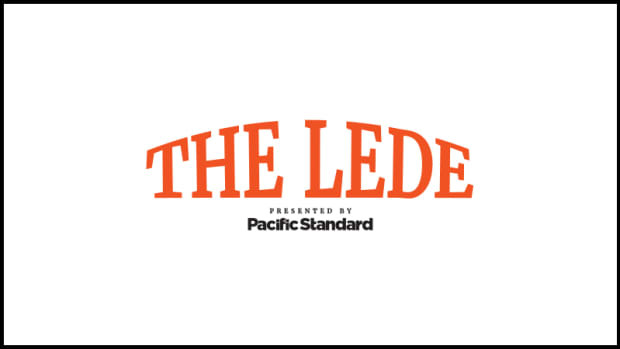 This piece was produced in partnership with the Center for Public Integrity, a non-profit investigative news organization in Washington, D.C.
Kate Wheeling is a staff writer at Pacific Standard. Jim Morris is managing editor for environment and workers' rights at the Center for Public Integrity. 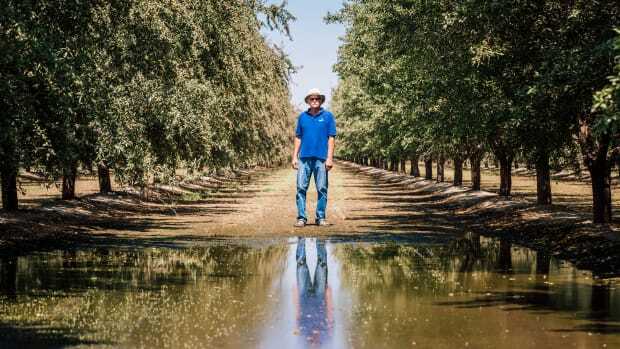 In California's Central Valley, the oil industry has been dumping wastewater into unlined—and under-regulated—ponds, threatening the state's limited groundwater and the humans who rely on it. Republican Michael Stoker will lead the Environmental Protection Agency office overseeing California and three other states, but he spent years as a spokesman for the most reckless company in the region. A new report details how California's bold plans to reduce oil consumption and meet the goals of the Paris Agreement could be canceled out by the state's own oil production. On the scene at an oil-themed parade in Taft, California.